is jennifer aniston pregnant w/ twins?!? the cover team aniston has been waiting for! did jennifer aniston pop the question?!? 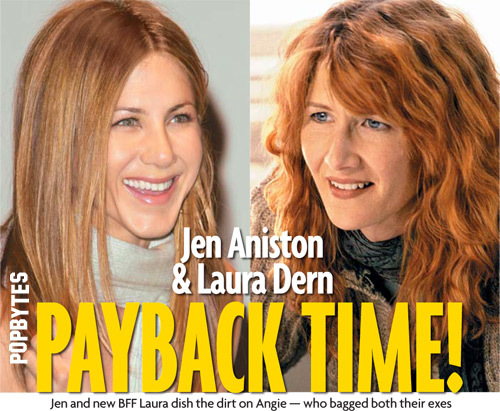 Jen Aniston and Laura Dern – payback time!